Since 1907, OCU has published The Campus weekly student newspaper. In 2014, The Campus was named "Most Outstanding Campus Newspaper" by the Oklahoma Collegiate Media Association. The student publications staff also operates mediaocu.com, which offers students, administrators, faculty, staff, and alumni a web resource. Mobile users can download the MediaOCU app for smartphones. MediaOCU.com is updated daily with campus, local and national news, sports, entertainment, campus videos, and opinions. Readers can discuss stories and other topics by using the site’s integrated message board. 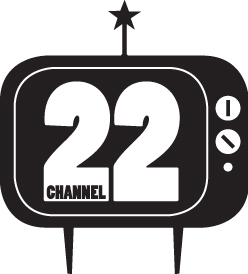 Student programming is broadcast on OCU-TV, Cox Channel 22 (on-campus). In 2014, "News on the Twos" was named "Most Outstanding Newscast" by the South Central Broadcasting Society in a regional competition. Students also produce variety shows, music videos, public service announcements, corporate videos and sports broadcasts. Classes often feature live broadcasts to immerse students in newsroom or athletic event environments. Examples of award winning student work can be found on the department's YouTube page.